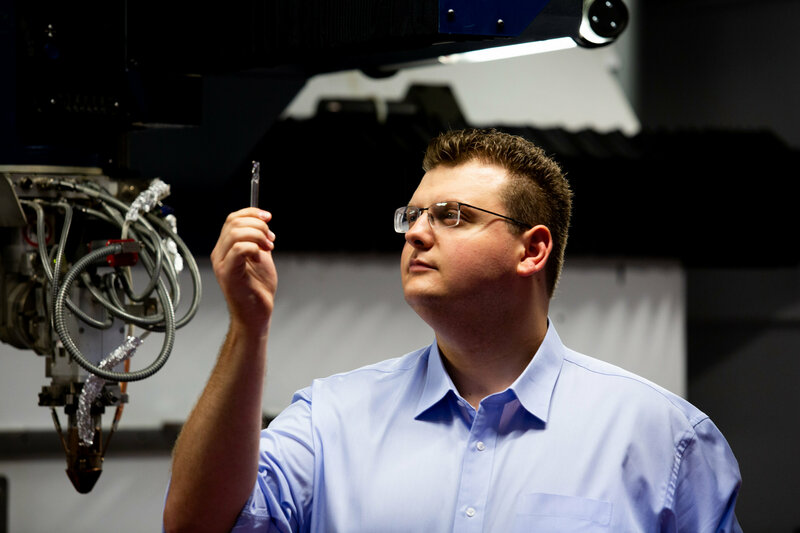 Ph.D. candidate Jimmy Toton from RMIT University in Melbourne, Australia, has won the 2019 Young Defence Innovator Award and $15,000 prize at the Avalon International Airshow for the research, which was conducted with Defence Materials Technology Centre (DMTC) and industry partner Sutton Tools. This collaborative project conducted at RMIT's Advanced Manufacturing Precinct is the first convincing demonstration of 3-D printed steel tools that can cut titanium alloys as well as, or in some cases better than, conventional steel tools. "Now that we've shown what's possible, the full potential of 3-D printing can start being applied to this industry, where it could improve productivity and tool life while reducing cost," Toton said. The team's high-performance steel milling cutters were made using Laser Metal Deposition technology, which works by feeding metal powder into a laser beam. As the laser moves and the metal solidifies at the trailing edge, a 3-D object is built layer by layer. This additive manufacturing process also allows for objects to be built with complex internal and external structures. Toton overcame significant challenges in getting the layers to 'print' to form strong, crack-free parts as he took this from initial concept through to development. He is now working towards establishing a print-to-order capability for Australia's advanced manufacturing supply chains.